The original demo, archived with sound samples and icon in the Amiga’s standard .lha format, for running on a real Amiga or Amiga emulator. Assembly language source code to the original demo, with comments by Harry Sintonen. This first stage of the reconstruction opens a screen, clears it, and draws the static image of the ball there. Stage 1 executable, for running on a real Amiga or Amiga emulator. This second stage of the reconstruction adds the rotation animation to the ball, which is accomplished through palette color cycling only. This third stage of the reconstruction adds the horizontal and vertical bouncing motion to the ball, which is accomplished entirely through manipulating the X and Y offsets of the viewport. This fourth stage of the reconstruction adds the static, non-scrolling background. This final stage of the reconstruction adds the sampled “boom” sound. I bought your book and am thoroughly enjoying it so far. However, I am reading it as a Kindle book on my ipad and being as this web site is an accompanyment to the book, it would be great if the videos were ipad friendly so I can simply swap from kindle to safari as required. As it is, I have to fire up my PC in order to view the videos. Other than that, great job on the book and helpful examples. Baz, sounds like you’re a fellow Aussie. Too right, absolutely loving the trip down memory lane and the education in the process. Shame about the fruit pad you’re running though. I would have loved to hear that resounding bounce sound on some amplified speakers, would have been a sight to behold! I am reading on an android tablet and I was thinking the same thing. Would be nice to have a cohesive multimedia experience! I’ve tried to load your executable version 5 on two different Amiga 500 (Kick 1.3 with and without additional 500 MB RAM expansion) but it crashes right after the start (when the ball first hits the floor). In the emulatore it works fine. Did you test the program on real hardware? What could be the problem? Oops! I thin I found the proble: I forgot to put the boing.samples onto the disc. Sorry! Congratulations for your work of releasing both the original source code content of the boing demo and a modern version trying to refactor the demo using the C language instead of using only assembly and (likely) non OS friendly procedure like direct hardware accesses. Currently I am trying to render the demo with an FPGA board with a VGA output connector (the learning curve is steep). 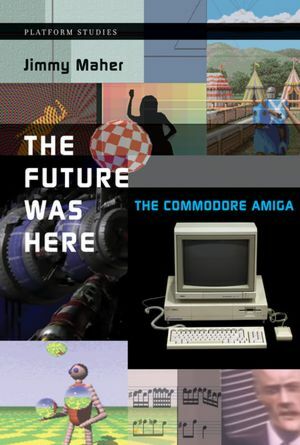 Again thank you for having written such a fine book of the Amiga history and the milestones achieved by the Amiga hardware. I’d like to ask you a few questions about your program. How do I reach you? The hell? Think I should stick to Assembly language, AMOS, BLITZ and maybe Friend. One thing I was hoping to see was the real original boing demo that you mentioned being displayed on the breadboard amiga at CES, the one with no sound and only bouncing up and down. I was hoping to see that old code running, not recreated. Is that lost forever? Yes, it appears to be long gone, unfortunately.